Join Dr. Lucy Jones and her Center for the first Science & Society Symposium: Harnessing Science for Safer Communities. This half day event in Downtown Los Angeles will bring together a cross-section of leaders to learn about the latest application of science to improve their resilience. The program is intended for both scientists who want to see their work applied as well as community, civic, and business leaders who want to build stronger, more resilient communities. For Business Leaders: Find out how risk can impact you by your decisions and how you can leverage the best data and information to protect your revenue streams, customer base, assets, and livelihood. For City and Community Leaders: Learn the tactics needed to build safer communities as you face the imminent threat of natural hazards, including strategies to address them, how to bring your colleagues on board, and how to build a whole community approach to addressing the unique risks you face. For Scientists: Come connect with those who can use your expertise and learn innovative ways to communicate your insights to those who have them wherewithal to take action on what you know. Find ways to get your science used to create safer communities. This session will focus on how to get and use science to make your community safer in the face of natural hazards. You may not be able to interpret the information you need to make decisions for your community, so this session will delve into how to find the sources of information that you can use to make or influence policy on the risks communities face. This session will feature Marissa Aho, Chief Resilience Office for the City of Los Angeles; Derek Skolnik, Smart Buildings & Earthquake Business Continuity Specialist at Kinemetrics; and Arrietta Chakos, Senior Policy Advisor at ABAG/MTC’s Resilience Program, who will share insights, tactics, and resources for city and community leaders. This session will focus on how scientists can communicate with non-scientists to get their work used. Those that attend will understand that the way scientists and technical experts learn to communicate among each other doesn’t work in the public sphere. Attendees will learn about why the challenge is severe for scientists and what can be done in the near term. This session features insights from Dr. Lucy Jones and a roundtable discussion to follow. The event will be held in Downtown Los Angeles at the Cathedral Conference Center. Parking in the building will be validated for those registered to attend. Register now by visiting the registration page. Marissa Aho leads city-wide resiliency efforts, including those found in the Mayor’s Resilience By Design report, Sustainable City pLAn, and Resilient Los Angeles strategy which was released March 2018. These efforts include implementation of historic building retrofits, fortifying the water infrastructure, and advancing earthquake early warning. 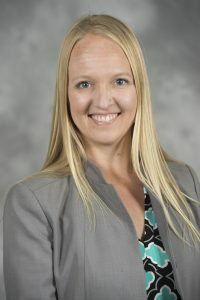 Marissa is also an adjunct instructor at the USC Price School of Public Policy, where she teaches a graduate urban planning studio on resilience. Ms. Chakos advises on municipal and regional resilience planning initiatives, enterprise risk management, and energy assurance programs. She has worked with clients that include County of San Francisco; Metropolitan Transportation Commission/Association of Bay Area Governments; California Energy Commission; ICF International; City of Palo Alto; GeoHazards International; and, the University of California, Berkeley. She serves on the Committee to Advise the U.S. Global Change Research Program at the National Academies of Science. Cyd Brandvein is a global enterprise risk management architect and resiliency strategist. 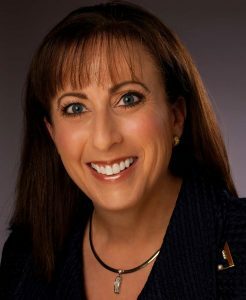 As a Director at Google, she is at the helm for delivery of innovative ways to safeguard global operational readiness and incident recovery that protects reputation, operations, and financial performance in general & administrative and product areas. 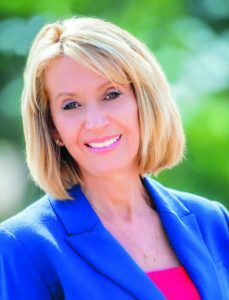 She serves on Boards of Directors including the California State Board of Optometry as President and Girl Scouts of Orange County. Cyd is a member of the International Institute of Strategic Studies, Pacific Council of International Studies, and National Association of Corporate Directors, and is a graduate of the University of California, Los Angeles. 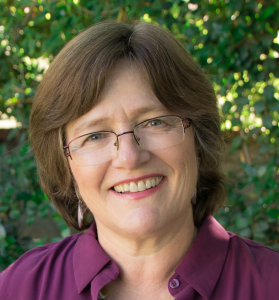 Dr. Lucy Jones is the author of the The Big Ones and a Research Associate at the Seismological Laboratory of Caltech, a post she has held since 1984. Working with both the public and private sectors, Dr. Jones seeks to increase communities’ ability to adapt and be resilient to the dynamic changes of the world around them. The aim is to understand and communicate where the greatest vulnerabilities lie and what actions can be taken to reduce the risk that are the most cost-effective. With a Bachelor of Arts in Chinese Language and Literature from Brown University and a Ph.D. in Geophysics from MIT, Dr. Jones has been active in earthquake research for decades, furthering earthquake risk reduction through seismological research integrated disaster scenarios. More information can be found at www.drlucyjones.com. 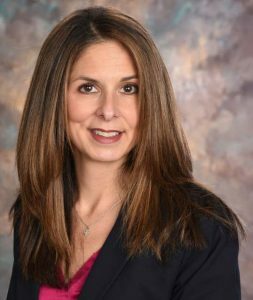 Michelle McLaughlin has devoted her entire 25 year career at Chubb to making a difference both for her clients and for her company. She manages a book of business that’s nearly $1 billion—a profitable line of business in the company. Her responsibilities span profit, growth and strategy development, training underwriters, managing terrorism for commercial lines, reinsurance treaties, and product development. She also continues to be directly involved in underwriting referrals of large, complex accounts. Marcia McNutt (B.A. in physics, Colorado College; Ph.D. in Earth sciences, Scripps Institution of Oceanography) is a geophysicist and the 22nd president of the National Academy of Sciences. From 2013 to 2016, she was editor-in- chief of Science journals. McNutt was director of the U.S. Geological Survey from 2009 to 2013, during which time USGS responded to a number of major disasters, including the Deepwater Horizon oil spill. For her work to help contain that spill, McNutt was awarded the U.S. Coast Guard’s Meritorious Service Medal. She is a fellow of the American Geophysical Union (AGU), Geological Society of America, the American Association for the Advancement of Science, and the International Association of Geodesy. McNutt is a member of the American Philosophical Society and the American Academy of Arts and Sciences, and a Foreign Member of the Royal Society, UK, and the Russian Academy of Sciences. 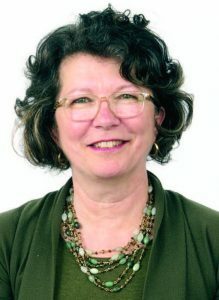 In 1998, McNutt was awarded the AGU’s Macelwane Medal for research accomplishments by a young scientist, and she received the Maurice Ewing Medal in 2007 for her contributions to deep-sea exploration. Brian Metcalfe is an insurance professional who has been with Bolton since 2001. Brian devotes his insurance practice largely to real estate and development risk, and also has a significant group of larger nonprofit clients focused in child and family services. Brian is well versed in environmental exposures, layered property and liability programs, and earthquake insurance. 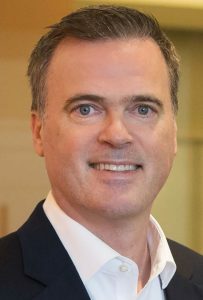 Brian holds an MBA from the University of Connecticut and a graduate degree from the Ecole Superieure de Commerce de Lyon in France. Born and raised in L.A., Fran started her political career as the first Mayor of Agoura Hills (1982) and then served 14 years in the California Assembly and Senate. 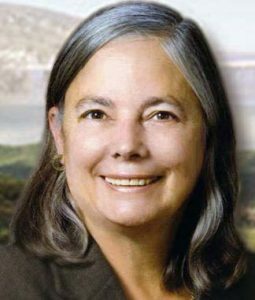 Former Senator Pavley is known for authoring landmark climate policies that have created a market for innovation and investment in clean energy and vehicles which has helped clean up our air, grow the economy and reduce greenhouse gas emissions. 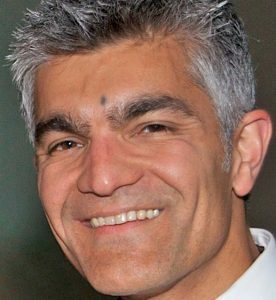 Raj Pandya directs AGU’s Thriving Earth Exchange (TEX). TEX helps volunteer scientists and community leaders work together to use science, especially Earth and space science, advance community priorities related to sustainability, resilience, and environmental justice. As part of TEX, Raj helped launch the Resilience Dialogues – a public-private partnership that uses facilitated online dialogues to help subject matter experts and community leaders work together to take steps toward community resilience. 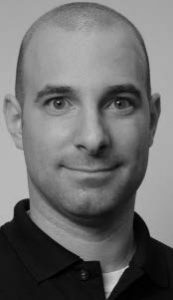 Dr. Derek Skolnick, Senior Project Manager at Kinemetrics Inc.
For the past 10+ years, Dr. Derek Skolnik’s professional experience includes the development and implementation of earthquake monitoring solutions for enabling smart buildings and resilient cities. His expertise in structural engineering, instrumentation technology, and data processing has helped earn Kinemetrics a reputation with a client base from over 90 countries. Notable building projects include: Burj Khalifa and World Trade Center in Dubai, ADNOC Headquarters and World Trade Center in Abu Dhabi, and Allianz Tower in Istanbul. Sign up for The Center's Newsletter. The Center is a project of Community Partners.